CIRCA 1918 - Soldiers pass along boxes of supplies. hd01:20CIRCA 1910s - The 315th Infantry is shown in Malancourt as well as 311th Machine Gun Battalion troops on a hillside with tents. 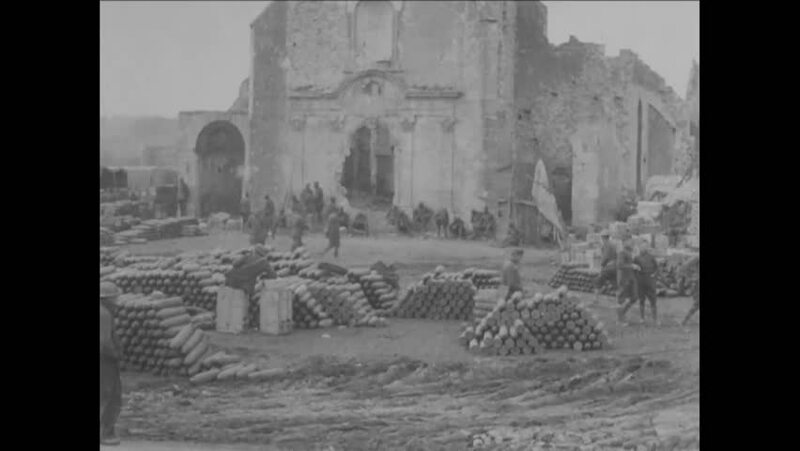 hd01:15CIRCA 1944 - American troops launch an aggressive artillery attack near San Pietro. hd01:07CIRCA 1918 - Soldiers view ruins in Saint-Benoit and visit the trenches in Dampvitoux, France, during World War 1. 4k00:221930s: UNITED STATES: ship in harbour. Lady swims in sea. Lady swims breaststroke. Lady dives into water. Girl and lady sit by coast.